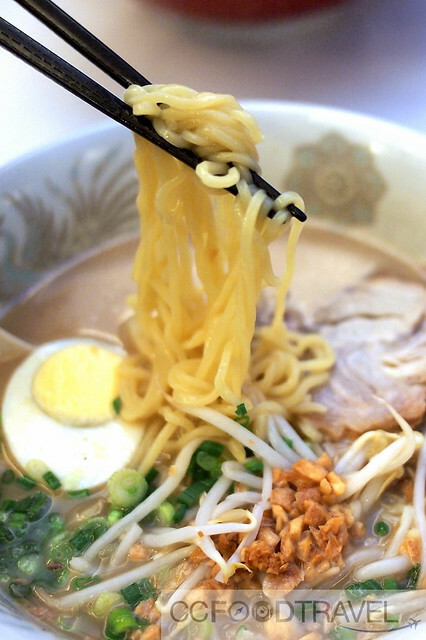 Well, that’s no disputing the ramen fever that has been spreading throughout KL for the past couple of years now. Well, then we turn our attention to a ramen tavern that has been in existence in our city, for at least a decade now, Chuka Cafe. And while the ramen fan base has been rapidly increasing, ramen shops popping up everywhere, with each shop boasting its own unique take on this classic Japanese noodle dish, Chuka Cafe still serves great wholesome, authentic ramen dishes at reasonable prices. 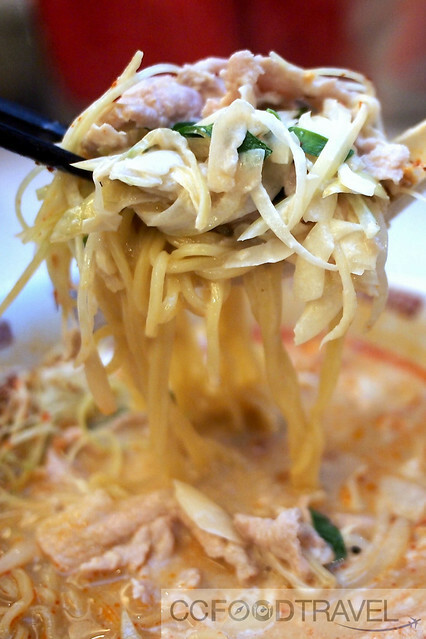 We feel that it is here, that the true soul of ramen still lies. A couple of weeks back, a massive traffic jam on the kerinchi damansara highway, brought us on a detour, so we ended up visiting this old favourite, Chuka Cafe. Located in Saujana Villa condominiums this canteen serves a nice variety of pork based ramen dishes. 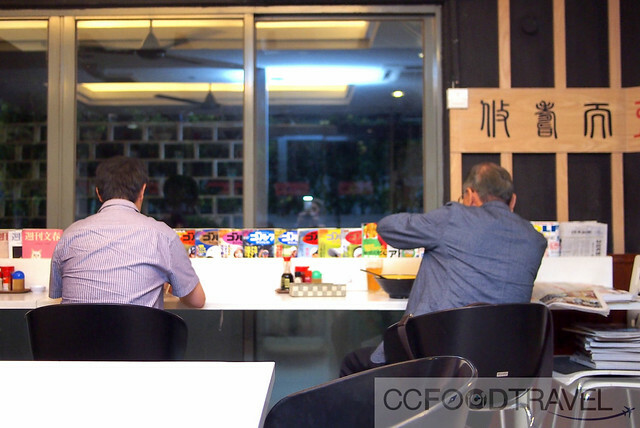 The clientele consisting mostly of Japanese and the canteen serves the condominium residents. Tonkatsu RamenRM13, a thick hearty pork broth dotted with flecks of animal fat, deep-fried crispy garlic, pork chashu, bean sprouts and half an egg. I would have preferred the ramen egg to have been of the ajitsuke tamago persuasion, i.e. of the marinated sort of course.. nicely set, with a custard like egg yolk, but that was not to be. Nope, just the normal, hard boiled egg straight up. Pretty boring. 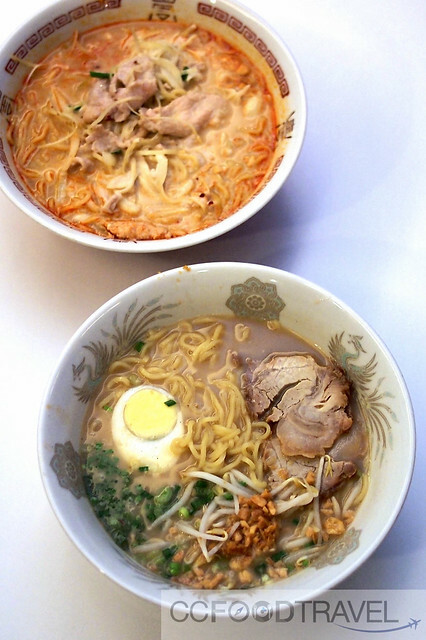 Actually, I liked Cumi’s kimchi ramen better – it had a deeper, more unctous flavour to it. 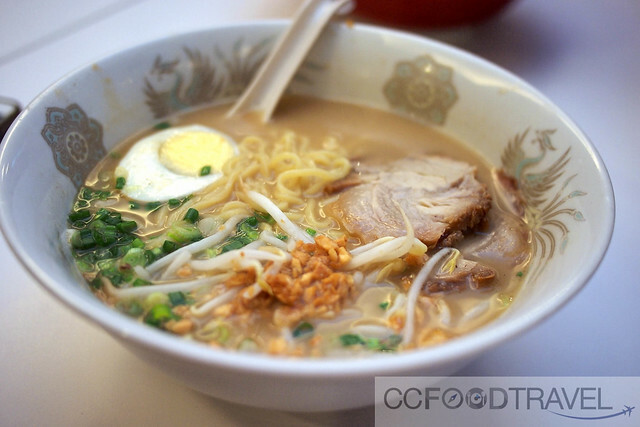 His ramen must have drawn inspiration from Korean soups like yukgaejang, or budae jjigae. It was a rich earthy soup, redolent of garlic and tinted crimson, thanks to the chili oil. Loved the generous amount of pork belly slices, dried chili flakes, cabbage, onions, well fermented kimchi and beansprouts, baptized in murky broth. The noodles were thin and toothsome and retained their chewy texture. 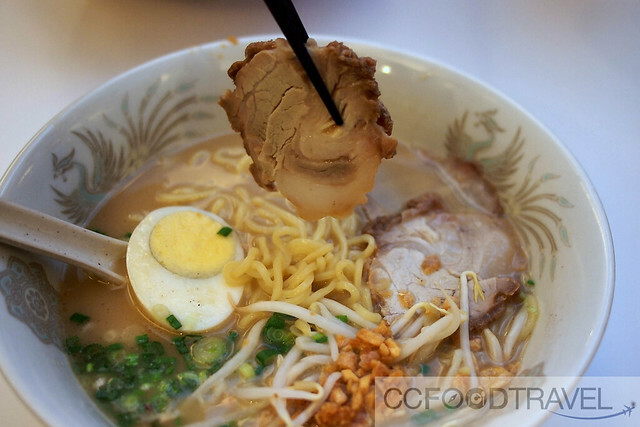 It had a layer of nutty complexity that made it better than the Tonkatsu Ramen. 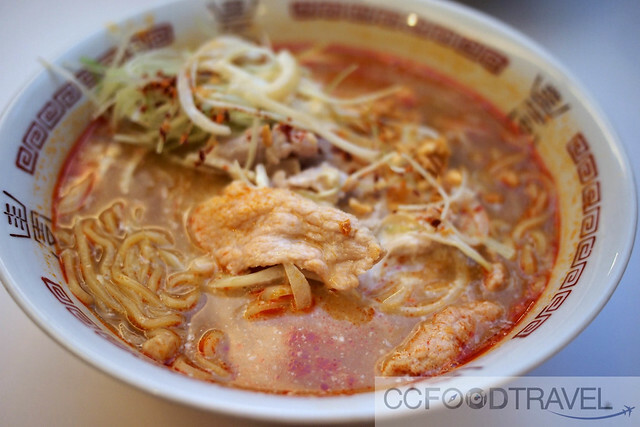 Chuka Cafe – still a good option for hearty, value for money Ramen. Please show us some FB LOVE, thank you!